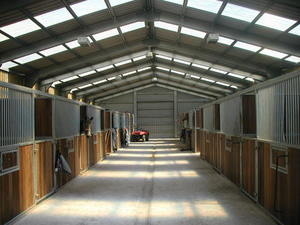 Landyke has a wealth of experience in the design of new equestrian facilities and conversion of older buildings to equestrian use. We can also prepare the business appraisal to prove to your local planning authority that your equestrain business is capable of meeting the criteria for a dwelling house - in terms of labour need and viability - both essential matters under the Government's Planning Policy Guidance. Our landscape design expertise also helps us to identify the best options for site layout and access arrangements that will make for the most efficient practical day-to-day working of the yard.